This is a very big statement to make but I think that Deer Shed Festival could quite possibly be the best family festival in the UK. 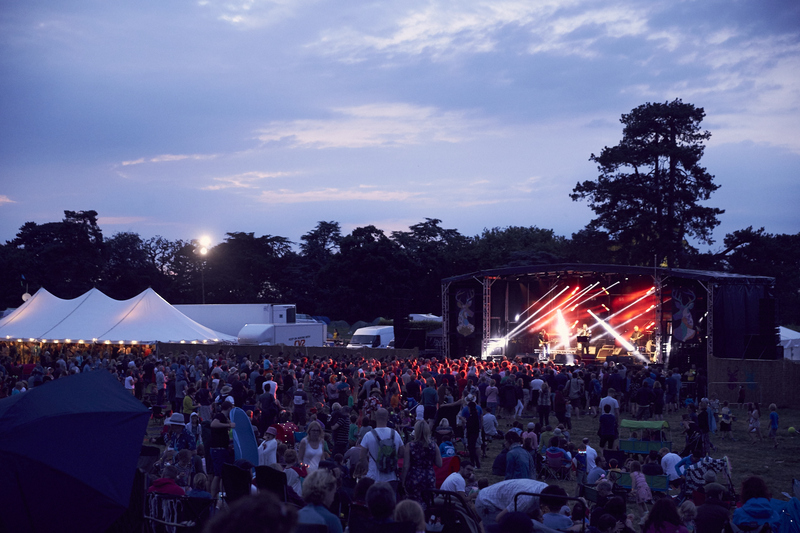 With so many family festivals available what makes Deer Shed festival so good? Starting at your arrival the campsite is only a short walk from the car park where you can hire a trolley to help you move your stuff. Already its shaping up to be a stress free festival. Wherever you camp there is always plenty of room, plenty of toilets and only a short walk into the festival site. You are so close to the action that if you choose to spend an hour relaxing by your tent you can still hear the bands on the main stage. 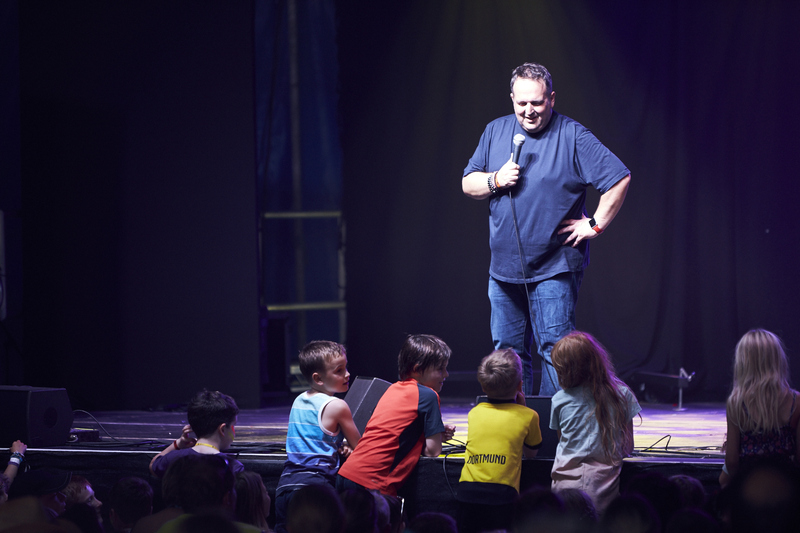 Even if you need to go back to your tent early with children you can still hear the headline acts, something that I think makes Deer Shed Festival extra special. There are so many activities for the kids even if you started at day break and finished at sunset I’m not sure you’d get round to doing them all. Unlike some festivals the kid’s activities aren’t restricted to a kid’s fields they are spread across the festival site. 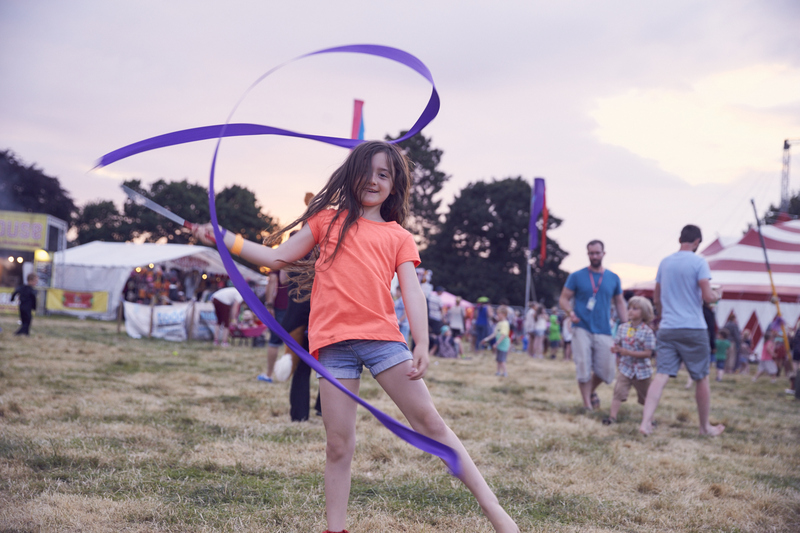 From ballet dancing with Matthew Bourne’s New Adventures in the Big Top, a huge selection of arts and crafts workshops in tents around the Obelisk Stage and the Science Tent close to In The Dock Stage, adults are never far from the music. To prevent this review going on and on here’s a quick rundown on the other available activities; in the Sports Arena with skate park, football, handball and hungry hippo, to name just a few and The Film tent, showing Goonies, Sing-a-Long Tangled and Pitch Perfect and Inside Out. So onto the music. Deer Shed doesn’t scrimp on the music in favour of activities for children. Music is spread across 4 stages with something for everyone. I kicked off my festival with the divine Mahalia in the Dock Stage. Her beautiful soulful vocals and insightful thoughtful lyrics were perfect for a hot sunny afternoon, a great new musical discovery. As the sun set on a beautiful Yorkshire evening Everything Everything took to the main stage, bright lights illuminating the field, the band walked out through bellowing smoke to a rapturous crowd. Opening track, Too The Blade, started with sparse cords and minimal vocals before launching into a crescendo of falsetto and crashing guitar, a strong start to a set filled with technical brilliance and intelligently written lyrics taken from all three of their albums and despite some dark subject matter, front man Jonathan Higgs exuded warmth and a cheeky smile for the crowd. As much as loved Everything Everything, as a complete movie nut I couldn’t resist the draw of Across the Tracks Friday at the Movies set in The Big Top. Playing movie hit after movie, it was a great way to finish off our Friday night, if you can’t dance to Dolly Parton 9 to 5 at a festival when can you? Our Saturday started off with Gin cocktails at the Slomotion tent perfectly situated next to the main stage. A great place for a relaxed afternoon of music. Starting off with the immensely talented Declan McKenna. 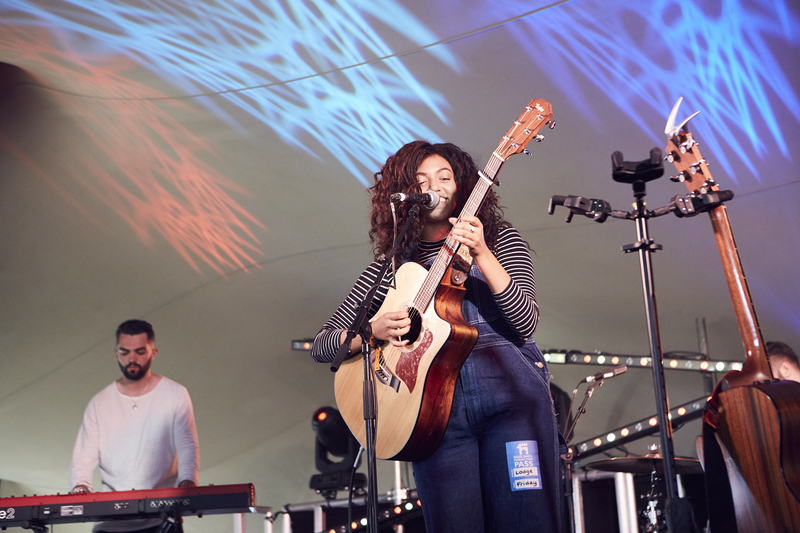 At only 17 he won the Glastonbury Festival Emerging talent competition last year and it’s not hard to see why. Lyrically more mature than his years, Declan McKenna had the afternoon crowd captivated, definitely a name to look out for in the future. Not wanting to leave our comfy, sunny spot outside the gin tent we stayed around for Cattle and Cane. What a joy, beautiful vocals, catchy tunes, the perfect mix of slow poignant songs (notably Dancing) and the more upbeat, get off your seat dance tracks like Skies. Yet again Deer Shed Festival opens my eyes and ears to superb music. We did have every intention of moving at some point on Saturday, in particular to see The Northern Panel: The North Will Rise again. A panel bought together to discuss topics surrounding the cultural differences between England’s North and South. I was particularly interested in see Andy Burnham, who, as it turned out, couldn’t make it and was replaced by a cardboard cut-out. I’ll let you make your own joke. But as it transpired the gin was too good and the sun so hot that we stayed at the main stage. I am so pleased we didn’t move or I would have missed what was one of my high points of the weekend, the amazing Misty Miller. Reading from the programme that at the age of 16 she was a ‘cute, curly blonde singer/songwriter famed for her amazing ukulele playing skills. The Guardian pitched her between Lily Allen and Laura Marling.’ I love Lily Allen (and the ukulele) but I am so happy she, went through a transformation into a tattooed, grungy rock princess. There is nothing I love more than a woman who can rock and she can and some. Sultry rock vocals and heavy guitars, this lady has earned a place on my favourites playlist. After all that gin it was time to get moving and find some food. I love festival food, gone are the days of horrible burger vans, now it’s all about varied and eclectic street food vendors. The big problem of the day is where to start and how to get around all the stalls in just 3 days! Special mentions need to go the fantastic Mussel Pot (the 30-minute wait for fresh Red Thai Mussels was well worth it), Mac Shac (carb overload with Mac and Chips), The Green Canteen and their amazing quesadillas and my favourite from last year Yakumama (who would have thought scrabbled egg, avocado and red onion taco would make for the best breakfast ever) Please note this wasn’t all consumed on the Saturday afternoon! 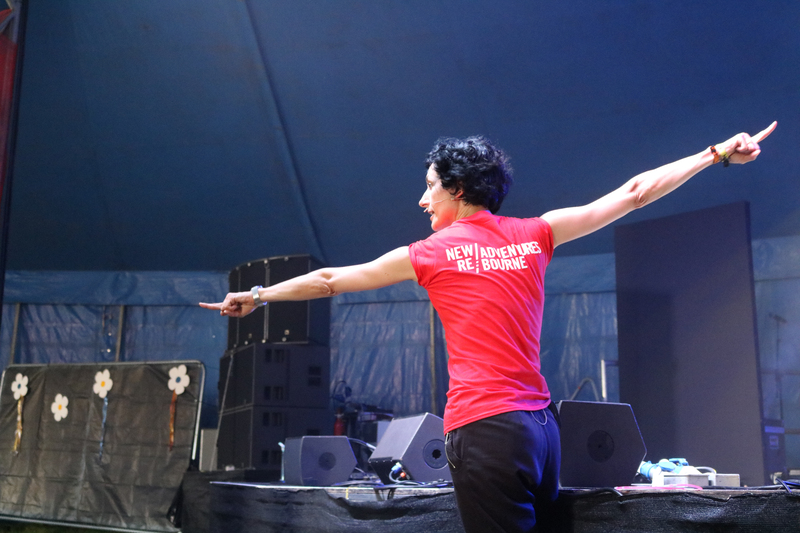 Deer Shed Festivals Saturday evening comedy was like the line-up of Live at the Apollo, with Rob Deering, Justin Moorhouse, Tony Jameson, Tom Wrigglesworth and Mark Watson. Tom Wrigglesworth was hilarious and I don’t think it was intentional! It appears he failed to read his contract and the very important part that this was a family festival and there should be no swearing. This proved to be too difficult for him and the set he planned to do went out of the window. His planned 35 minutes ended up being 15 to 20 minutes, in which he spent most of it telling the audience he had nothing for them, which in its self was very funny! Cue Mark Watson saving the day and coming on 20 minutes early and managing a good hour with only the minor inappropriate word. He was fantastically funny, the Big Top was filled with laughter. It was a shame that he clashed with Anna Calvi but I was so glad that we chose to see him. Richard Hawley headlined Saturday night on the Main Stage, but try as I might I’m not a fan so we went back to the comfort of our tent to listen to him. Sunday at Deer Shed Festival is a little different than most festivals I’ve been to. The festival finishes early Sunday evening (although at an extra cost you can stay Sunday night) so Sunday morning is spent packing up your tent ready to go home. It does leave you with that last day of holiday feeling, you just want to get home. But with a programme full of activities, films and music, that feeling soon went. We headed into the arena for some lunch and then the rain came, we had been luckily to go that long without rain in North Yorkshire. We retreated to the Big Top to watch Re:Bourne, with Deer Shed’s version to Swan Lake, the enthusiasm of the dancers was contagious, so I got up and gave it a go. I don’t think I’ll be getting a call anytime soon. Sadly we missed Lanterns on the Lake while sheltering from the rain. We finished off our Deer Shed experience with Sing-a-Long Pitch Perfect, a favourite of myself and my daughter, a great way to end a great weekend. We had to leave before Beth Orton headlined at 4.15 which was a real shame as I’ve been a fan for many years. Deer Shed Festival 7 was a huge success, I left with great memories and lots of new artists to add to my playlist. Already looking forward to going back next year.